This is a model of ASECII ejection seat which is the ejection seat of the f-16, f-15, A-10 aircraft and more. 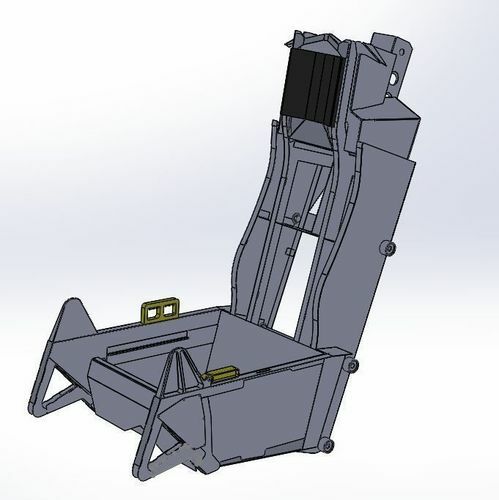 This 3d model is sutible to build an ACESII ejection seat from 1.5 mm iron plate cut by lazer cutting and weld together. from this model I have built a g-seat that looks like the ACESII. This model contains more then 60 parts!! !